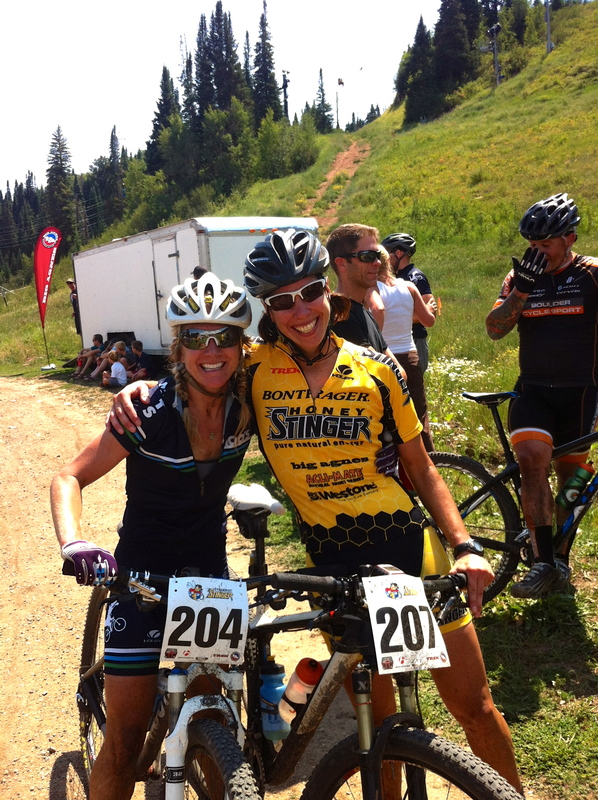 Yesterday I raced in the Steamboat Stinger mountain bike race and then I did a trail marathon on the same course today–but honestly, looking back it really felt more like a week-long adventure race. 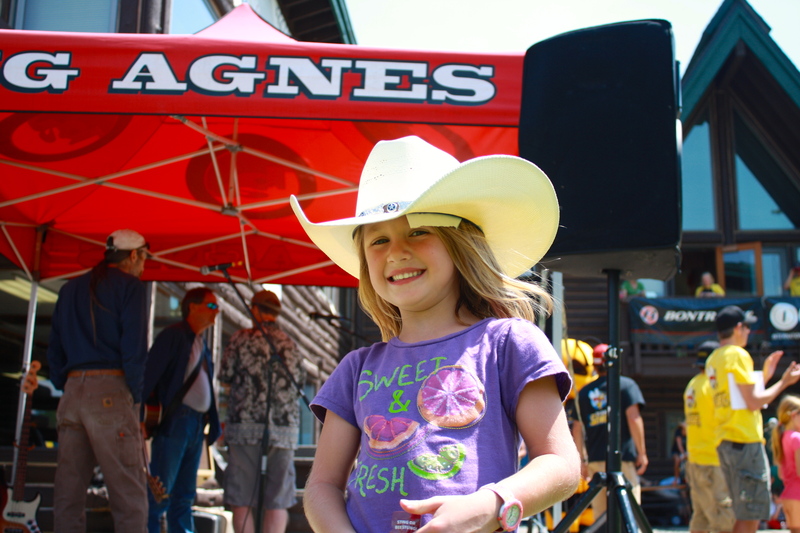 For me, the race started on Thursday, packing the kids’ clothes, cooking rice cakes and gluten-free scones, and getting my borrowed bike dialed. On Friday, I worked in the morning and then Ian and I both came home early to squeeze the truck full with all our gear. We rolled out at about 3pm and arrived in Steamboat a couple hours later. In the ‘Boat we stopped at BAP to register for the race and picked up our accommodations for the night: a brand new Big Agnes Big House 6 tent. 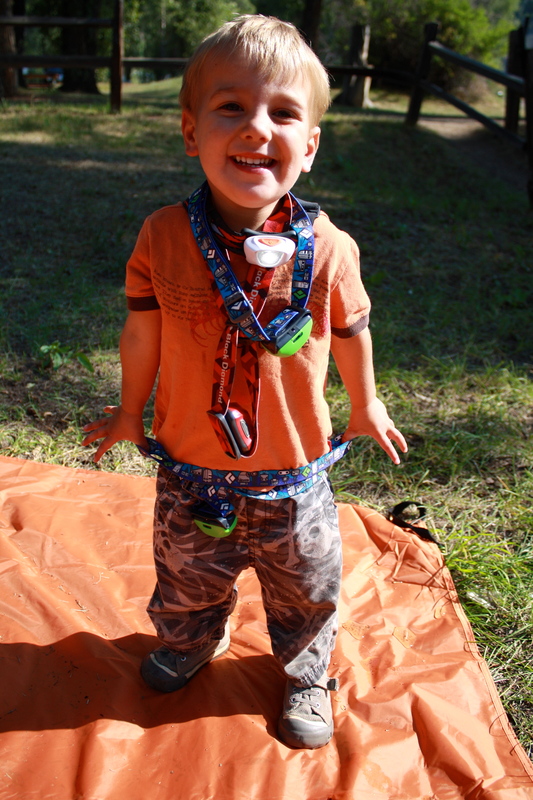 From there we were off to the KOA, where we met our good friends Rob Russell and Elinor Fish, with their 3-year-old boy Reed. We got the tent up and dinner started, just in time for the rain to start. With everyone exhausted, we got the whole family into the tent for bed by about 9, but some of us were far from ready to go to sleep. Axel would have nothing to do with his Pack’nPlay and so we tried to get him to sleep on the floor with the rest of us. It didn’t go well and let’s just say I got less than a good night’s rest. We woke up to drizzling rain, which added to my already sour mood. I almost threw in the towel right then and there, but got dressed and made my way to the start line. I felt pretty terrible for the first lap, but after about an hour and a half of racing I started to come around. I caught up with Rob, who was racing on a team with Ian, but having mechanical issues. Rob is a great descender so his misfortune worked in my favor; I grabbed his wheel for the long descent to the end of the first 25-mile lap. There, Rob handed off to Ian (Elinor was kindly watching our kids) and I caught sight of my friend Kelly Boniface, who was running in second place in the solo race. I caught and passed Kelly on the next long climb and managed to hold on to second place for the rest of the race, feeling better and better as the day went on. With the morning’s rain, the trails were in great shape and I really enjoyed the awesome singletrack on the course. National cyclocross champion Katie Compton defended her title for the women’s win, while Russell Finsterwald won for the men. 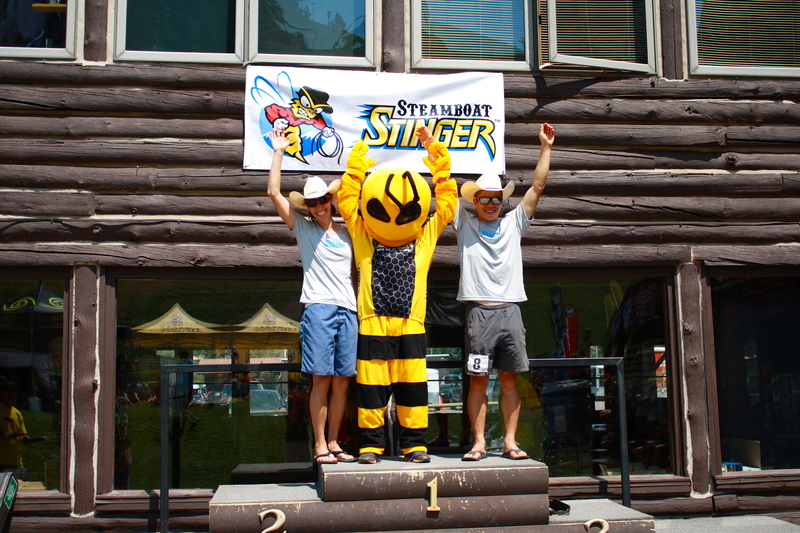 There was a solid showing for Team Honey Stinger, with Peter Kalmes in third, Trevor Walz in fourth, Daniel Methany in seventh and Max Taam in eighth. Ian had a fast 2:18 lap, and he and Rob finished in fifth for the duo men. 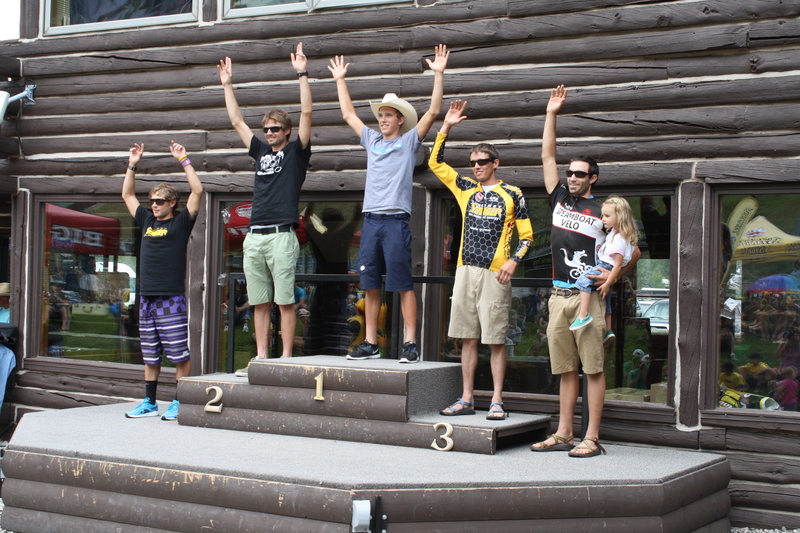 Full mountain bike results here. On Saturday night, we wimped out. Max and his girlfriend Jessie had an extra bedroom in a condo they rented and when they offered it to us, we jumped on the opportunity. I slept really well and then got up early for the start of the run with Max and Jesse, both of whom had raced yesterday as well. At the start line, I was somewhat surprised to see Lance Armstrong standing next to me. Cool. Anyway, my legs were definitely tired from the mountain bike race, but I actually felt pretty good overall. There were a few women right behind me as we started up the long first climb, but eventually I opened up a gap and then I raced for almost two hours without seeing anyone. I have to say, there aren’t too many race courses that would make both a great trail run and a great mountain bike ride, but the Steamboat Stinger definitely is one. I had just as much fun running the course as I did riding it the day before. Lance had great race and won handily for the men. 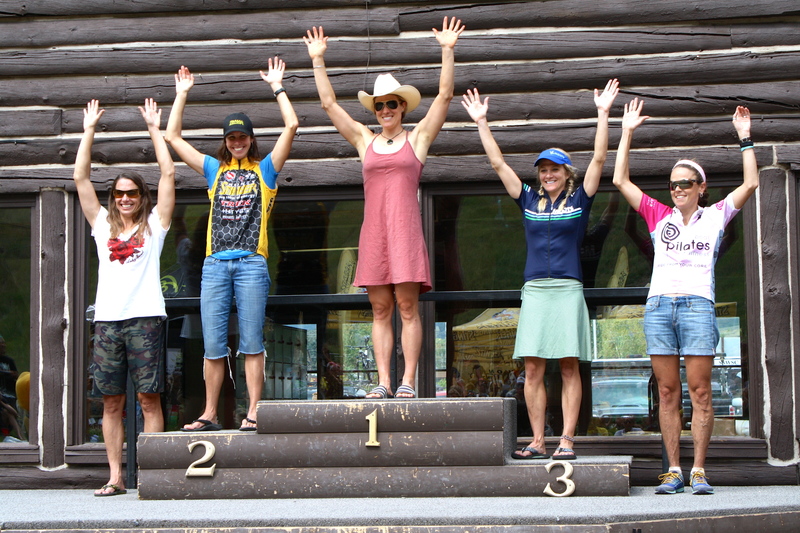 I was pleasantly surprised with my win for the women and psyched to finish in eighth overall. I also was crowned “Queen Bee” for the fastest combined time in both races. Jessie finished in third place with her combined time. Max was King Sting. Steamboat Pilot story about the race here. What started as a rough weekend, ended up being one of my best of the summer. 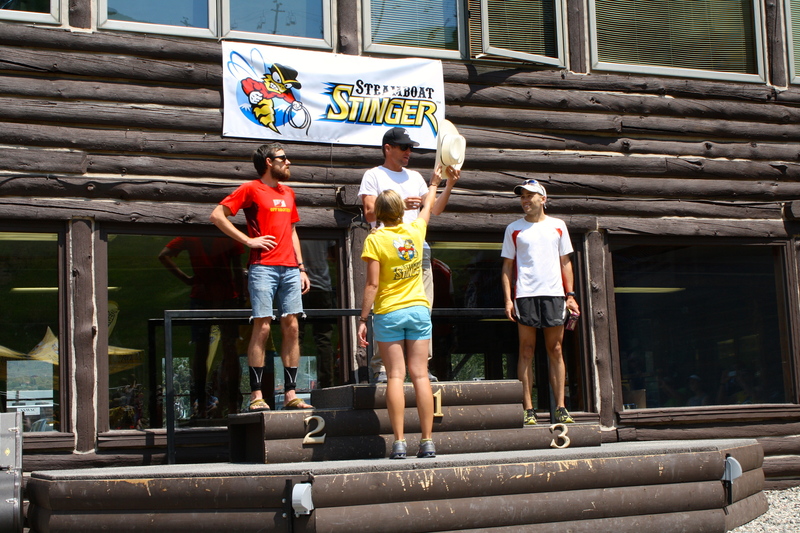 Len Zanni, Colin Osborn, Nate Bird and the rest of the Honey Stinger/Big Agnes crew put on an awesome race and not only did I win cash, but I won a couple of sweet, new Big Agnes sleeping bags, and a real deal cowboy hat from the famous F.M. Light and Sons. I couldn’t have pulled off the weekend without the amazing support of Ian, who talked me off the ledge several times in the days before and during the weekend. Elinor and Rob were awesome helping out with the kids. Colin was kind enough to loan me his Trek Superfly for the race, which ran better than my own. Max and Jessie saved us with comfortable beds and a roof over our heads on Saturday night. Sponsor shout for this post goes to La Sportiva–I wore the new Vertical K shoes for the run and they were awesome. Super light, with enough cushioning for a 25-mile trail run and plenty of traction on the technical trails of Emerald Mountain. Now, I’m off to Rhode Island to visit my family and enjoy a little vacation. Thanks for reading!